LEAP Ambassador Megan Chapa met with KSAM News Director Larry Crippen on Thursday, February 18 to discuss the organization’s upcoming activities. The seven-minute segment, Around Town, highlights local activities and aired on Sunday, February 21. The interview began with a brief overview of what LEAP was; the interview then proceeded to events from earlier in the semester such as the students’ luncheon with Secretary Bob Gates, their day with Chase Untermeyer, and their many law-related events. 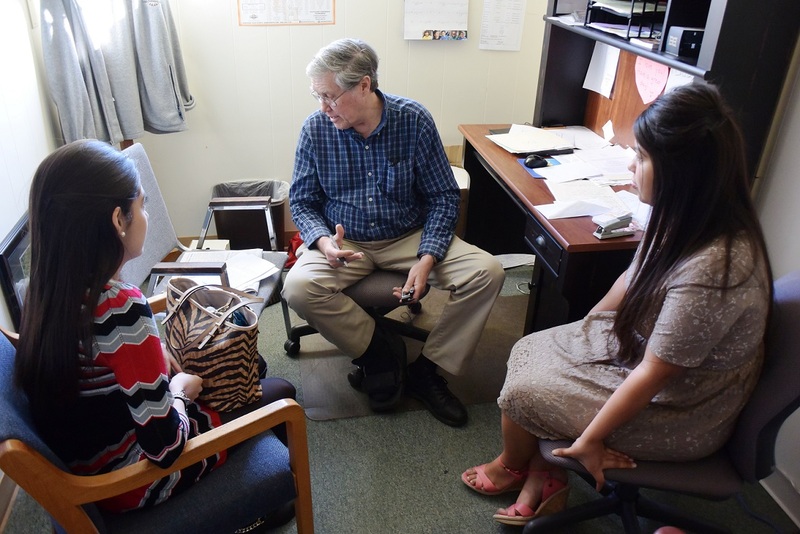 LEAP Center Ambassadors Karla Rosales and Megan Chapa met with KSAM‘s Larry Crippen for an “Around Town” session. This is the seventh time the Junior Fellows/LEAP Center have been featured on Around Town, a six-minute radio program that highlights local happenings on 101.7 and 104.9 FM. The program, which covers their recent experiences at the Texas Governor’s Inauguration, as well as upcoming events such as the Michael Morton appearance, Nancy Bocskor’s appearance, and the Citizenship Program, aired Saturday (March 14) and Sunday (March 15).